The Portwest Anti-Static Shell Pylon Liner Gloves A197 provide protection against electrostatic discharge while acting to prevent the natural oils of the skin from damaging electrical equipment. The highly flexible super lightweight gloves offer dexterity, safety and security when working with electrical components in particular, while allowing for increased comfort and enhanced grip for general work. The super lightweight, highly comfortable Portwest Anti-Static Shell Pylon Liner Gloves A197 offer protection from electrostatic discharge while acting to enhance grip thus offering functionality in a range of activities. 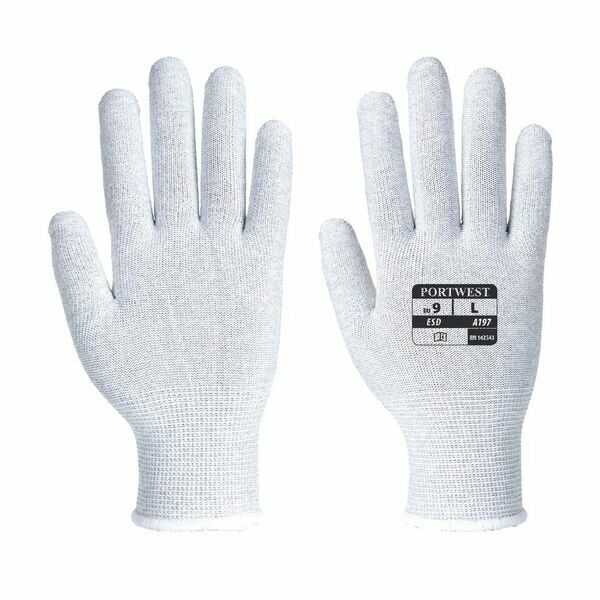 The Portwest Anti-Static Shell Pylon Liner Gloves A197 are available in sizes 6 - 9. 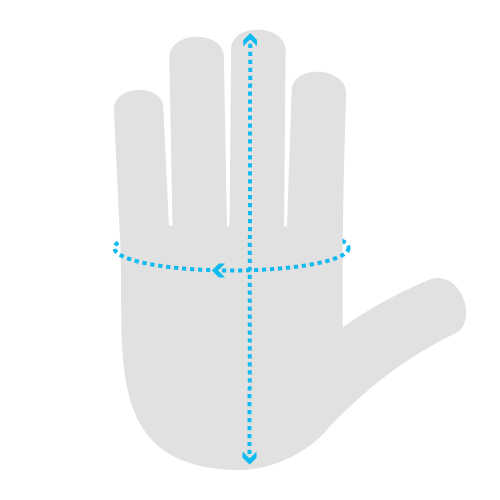 To find your ideal size, please measure the length and circumference of your hand (as advised on the image below) and match your results to the chart.